For cyclists, farmers, joggers with strollers and anyone else rolling their tires outside in the Western United States, the dreaded goathead season has begun. From late spring until around October, goatheads are one of the leading causes of flat tires in fields, backyards, trails and roadways. 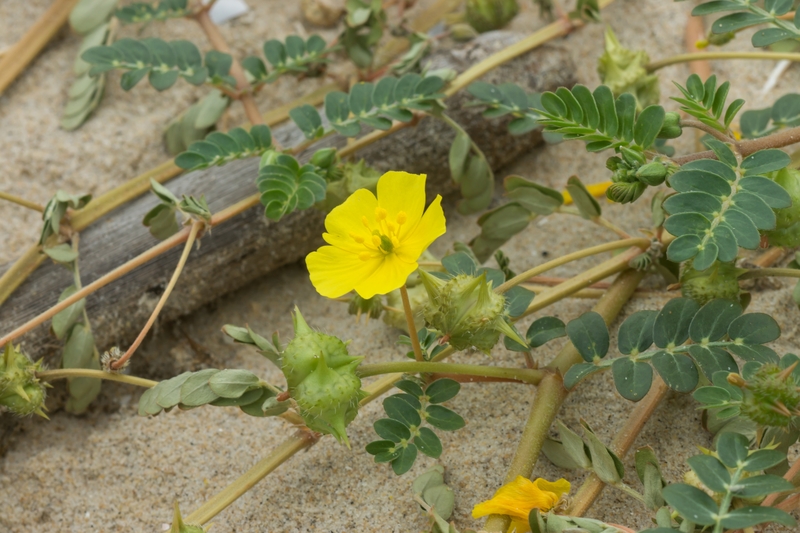 Also known as “puncture vine,” or the more ominous “Devil’s thorn,” goathead vines produce little burs or thumbtacks with horns that are sharp enough to puncture tires found on bicycles, wheelbarrows, small trailers, jogging strollers and other lawn equipment. The worst goathead infestations are found in Arizona, California, New Mexico, Nevada, Oregon and Texas. You might be thinking, “How bad can these little burs really be?” Goathead infestations became so terrible in one town that they issued a bounty for the plant’s arrest. In June 2014, the town of Irrigon, Oregon announced it would pay a bounty of one dollar for each large trash bag of puncture vine that was collected. Tire sealant (whether for tubes or tubeless tires) can be a life-saver in goathead country. Slime’s prevent and repair tire sealant is designed to stop punctures for up to 2 years! The best part? It works over and over, regardless of how many thorns you come into contact with. Time and again, we hear stores from cyclists in areas like Arizona who come home from a ride with all these little green spots on their tires where the sealant plugged multiple goathead punctures. Or we hear from a homeowner in New Mexico who was able to ride his lawnmower over acres of weeds without a flat. Often times, the people never even noticed that they had all those punctures! 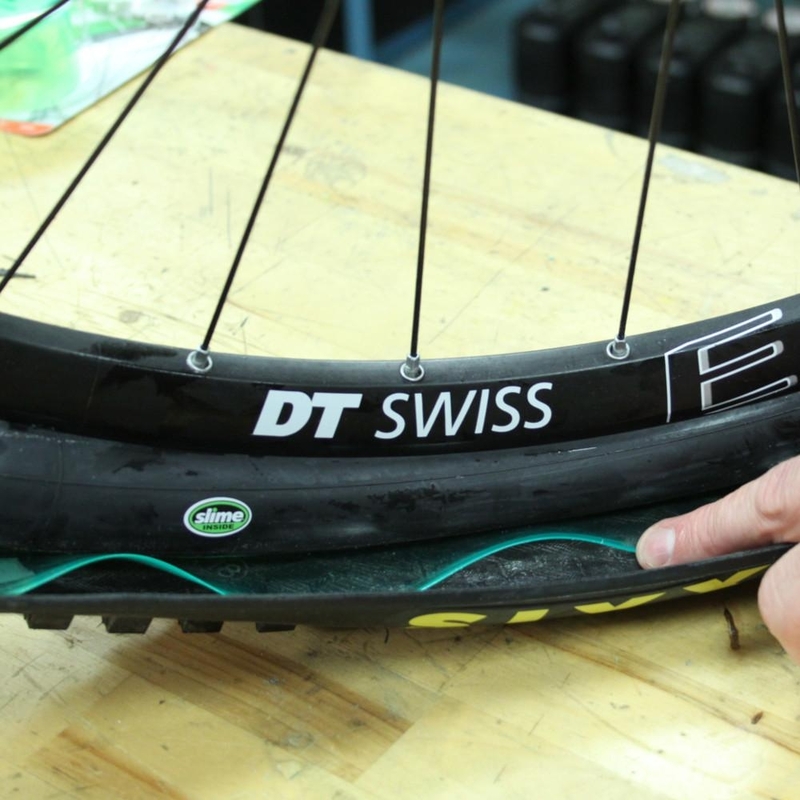 Bicycle tire liners are thick, but lightweight, protectors that provide a physical barrier for your tube, deflecting nails, glass, thorns and other debris to prevent flats. Tire liners install easily between the tube and tire to offer powerful puncture protection. Many cyclists and joggers in goathead country install these liners as additional support when out on the trail or road. Goathead thorns can cause your tires to lose a small amount of air every time they puncture your tire. On a long journey, this can slowly decrease the overall pressure of your tire. If you are on a bicycle, a compact CO2 inflation device in your bike bag can be an easy fix. CO2 inflator heads inject carbon dioxide gas (via CO2 cartridges) through your bicycle tire valve stem and into your tire. Offered with a variety of technologies, including push-to-inflate, twist-to-inflate and trigger controlled, CO2 inflators are portable, time-saving and require little effort to get back to full inflation. If you are out in the field, pack a compact tire inflator to easily top off from anywhere. Some store easily under a seat, or come with a rugged housing for rougher adventures. 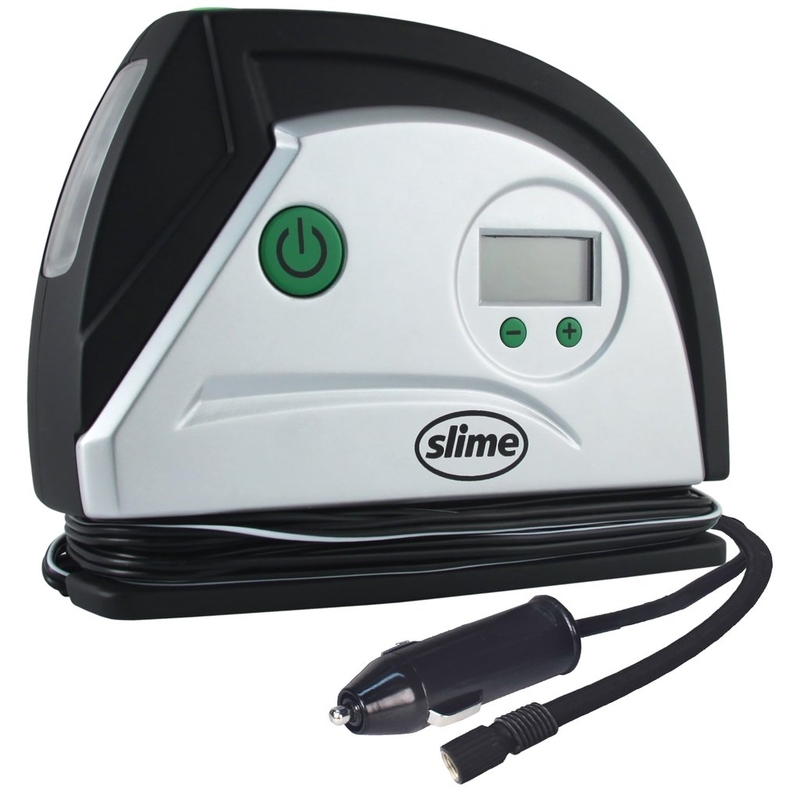 Slime offers a wide variety of tire inflators to suit your needs. For those of us living in Western America, goatheads are an unfortunate part of working or riding outdoors. But if you prepare your tires correctly, you can enjoy miles of fields and trails with no fear of flats. Got any stories or pictures of your tires after a goathead run-in? Post them in the comments below!